The all inclusive 4* Club Coral Beach opened in May 2010 and has already established a reputation for good food, friendly staff and a great choice for a family holiday. 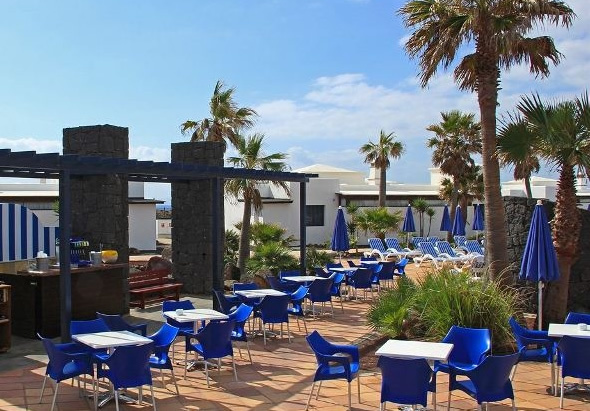 The hotel belongs to the small family run Vik Group, this group has many years of experience operating high calibre hotels including our favourite hotel in Puerto del Carmen the Vik Hotel San Antonio. 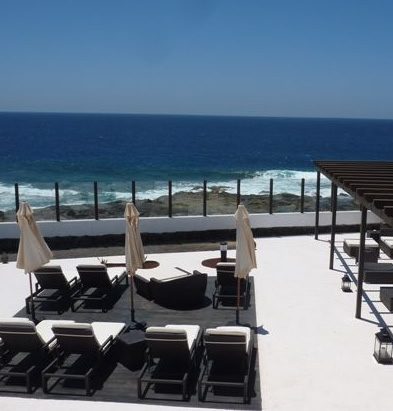 The Vik Club Coral Beach is not a conventional hotel but a collection of villas set approximately 2 miles outside the resort of Playa Blanca and is around 35 km from Arrecife airport. 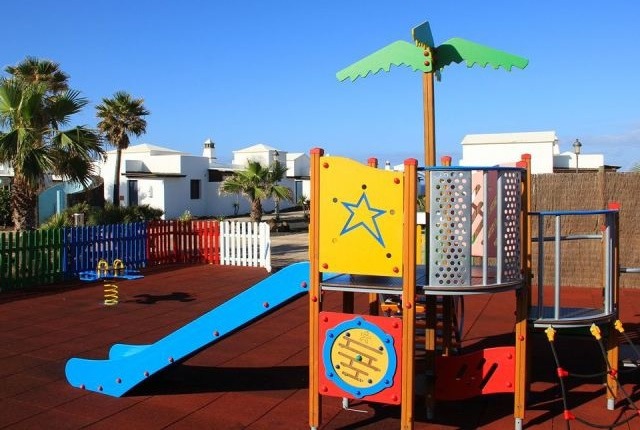 The complex is built in a typical Lanzarote style and consists of 62 buildings of which 60 are individual villas several of which offer views of the sea and the neighbouring island of Fuerteventura. The villas have 2 bedrooms (maximum occupancy 5) and are fully furnished throughout, each villa has a large living room with a sofa bed, a principle bedroom with kingsize bed plus a second bedroom with twin beds. All villas have a well equipped kitchen that includes oven, fridge/freezer cutlery and crockery. The spacious lounge is home to a TV with music channels and Telephone. 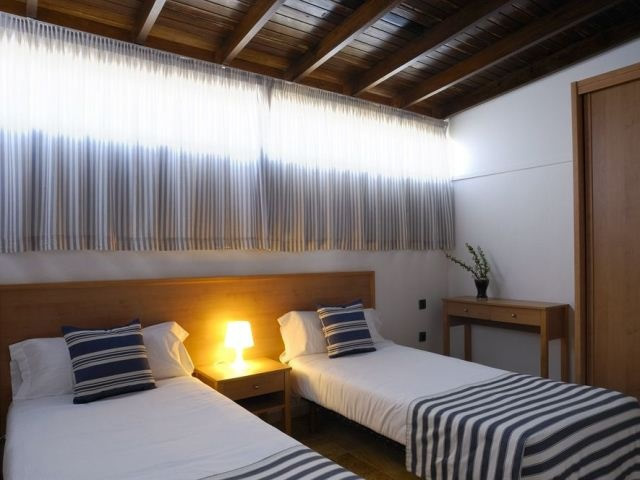 The villas also boast air conditioning in the principle bedroom and the living room. Safe deposit box is available (local charge). The complex's pleasant restaurant is the heart of this establishment it has a multitude of uses, as well as the restaurant it is also the venue for the evening entertainment and the bar is located here too. The buffet style restaurant operates on an all inclusive board basis, and the restaurant offers a choice of delicious national and international cuisine with themed buffets, show cooking, diet menu and other specialties. 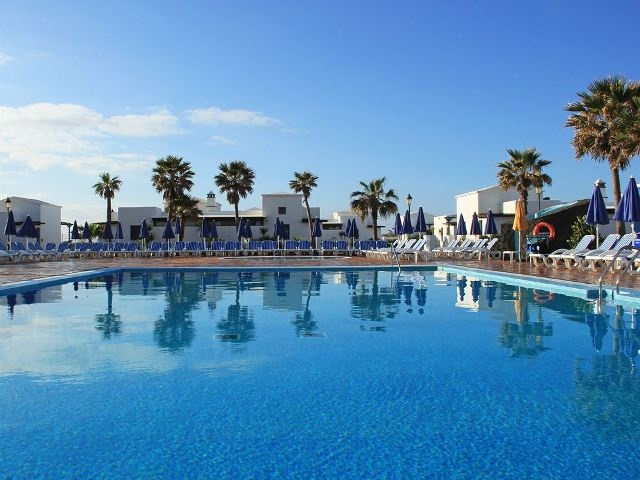 The hotel has a large heated fresh water swimming pool and a paddling pool for little ones. There is a tennis court and sport area, paddle tennis, pool table, ping pong table and darts. The animation team is on hand to keep you entertained and there is an animation team for the younger ones plus a mini club for kids. Professional shows are hosted in the evenings. The hotel provides 24 hour reception, laundry Services, night time security and surveillance, currency exchange, private parking, internet corner (surcharge) Car rental, quads and bikes (surcharge) the hotel has good wheelchair access.